This anime-illustrated guidebook is for teens and young adults to read themselves to learn how the social mind is expected to work for us so we can effectively relate to others at school, at work, in the community and even at home. Since there is relatively little information on how to talk about social information, this book redefines what it means to “be social” and it is likely not what you were thinking! Buying Tip: This book contains many practical strategies help the reader figure out what impression they are making on others. New chapter: How does a social anxiety mess with a healthy head? 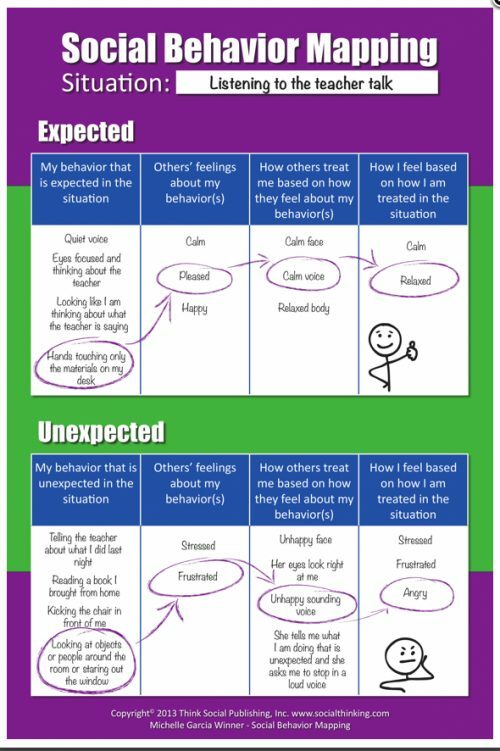 Visual cognitive behavioural strategies and related explanation to help kids explore anxiety management after they have increased their social competencies. Spirals of Social Success and Social Failures: Updated chapter related to the Peer-a-mid of friendship – going from casual greeting to bonded and close friends. Removed the wording describing diagnostic categories from front of the book to help teens access it without feeling they are being labeled. The anime-illustrated guidebook is written in the language of teens, as a “get real” discussion about what really goes on inside the minds of people when we share space together. 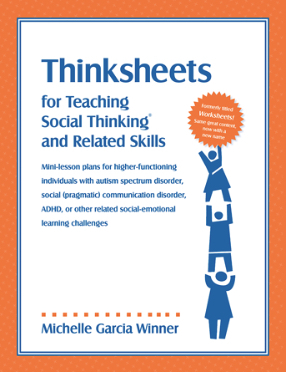 Adults also use the book to use with students and to learn about and help discuss and unravel the social-emotional world of the students we’re working with. 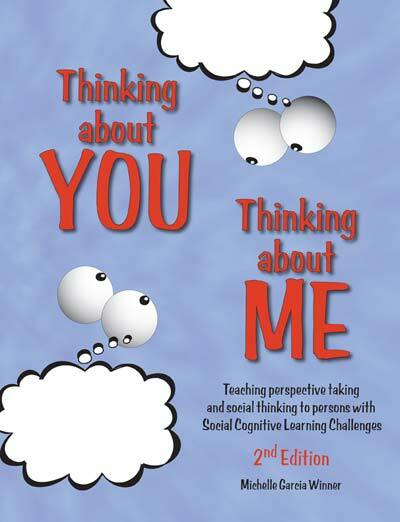 The book has many practical strategies to help the reader figure out what impression they are making on others, how this affects their own emotions and what they could work on to make living in the increasingly complex social world more personally rewarding. Who doesn’t think they could improve in these skills and improve their casual to more complex relationships? From discussing the “ins and outs” of what it means to be a “Social Thinker”, to figuring out texting, dating, the many different levels of friendship and the many and varied emotions we experience as we relate to others, the authors describe the real world of being with other people. This includes knowing how to sometimes just “fake it” better! The authors are not trying to get every reader to find a group to hang out with; instead, they are providing information to help each person find his or her place and be appreciated by others at whatever level he or she feels comfortable with. Parents, teachers, counsellors, other caregivers and even siblings may also find this book compelling, as it provides some “ah ha” moments that encourage a deeper discussion with these older kids about the social world. 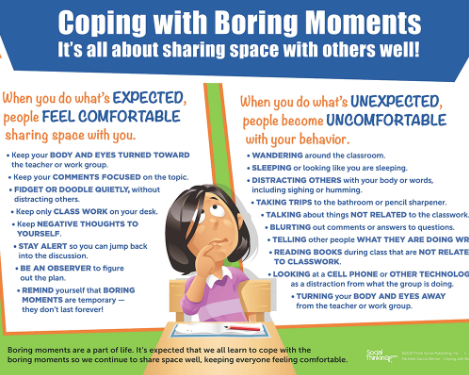 While we all work on improving our communication skills, few of us know how to talk about the social mind and how to cope in our very social world of the classroom, hanging out, holding a job, chatting on the Internet, texting and whatever the future holds. “BEWARE! Michelle Garcia Winner and Pamela Crooke have assembled a detailed guidebook to help teens and young adults with social thinking as they sail the stormy seas of dating, texting, lies and everyday relationships. Parents, educators and therapists will benefit by this guidebook as well and consider it a valuable resource to help young adults navigate social interactions.” Glenn Saltz, MD Child, Adolescent and Adult Psychiatrist. 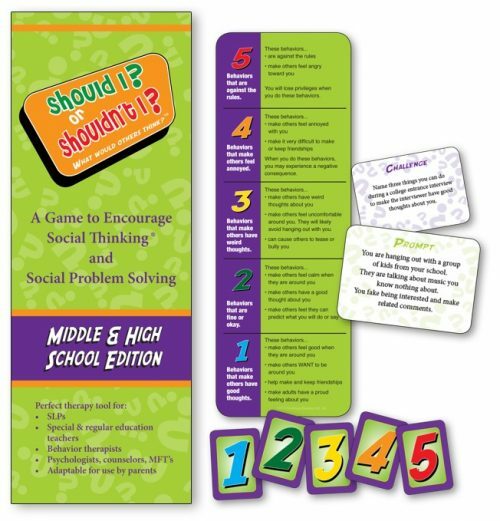 “Add another great teaching tool to the `Social Thinking’ collection! This book can serve as our scope and sequence for our high school class. 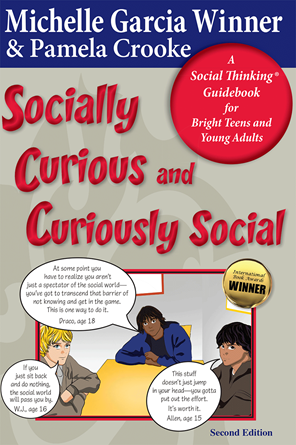 Michelle and Pam’s new book, Socially Curious and Curiously Social, can seriously function as our class text. This is an easy, humorous, positive, teenager-friendly, and a promising read for our socially challenged students, their parents and educators. Loved the terms: social algebra, uncomfortable or weird thoughts, social curiosity, flirting, maturity, group dynamics, superficial social test, singular imagination and avoid the blurt. Once again, the examples and stories are genuine, offer the WHY, WHAT and HOW of `Social Thinking’ and help us all learn a little bit more about the world of being social”. Jan Petru, Speech-Language Pathologist – Vanessa Granato-Wagner, Speech-Language Pathologist – David Myford, Social Worker for SWCCCASE Southwest Cook County Cooperative Association for Special Education. “I believe this book will be a valuable resource for high functioning young people on the spectrum or with Asperger’s Syndrome. 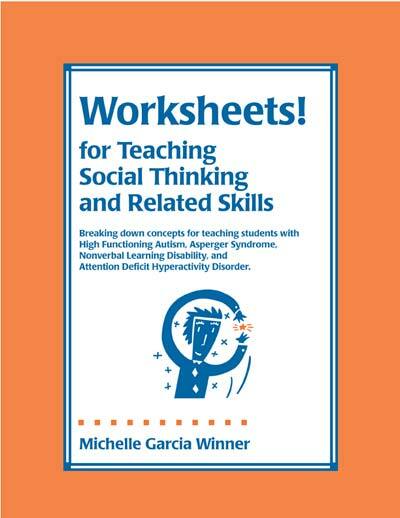 It is packed with practical strategies that are presented in a style that is easy to understand for our students and young adults who think in a concrete way.” Shellie Bader, Coordinator Speech and Language Program Los Angeles Unified School District.